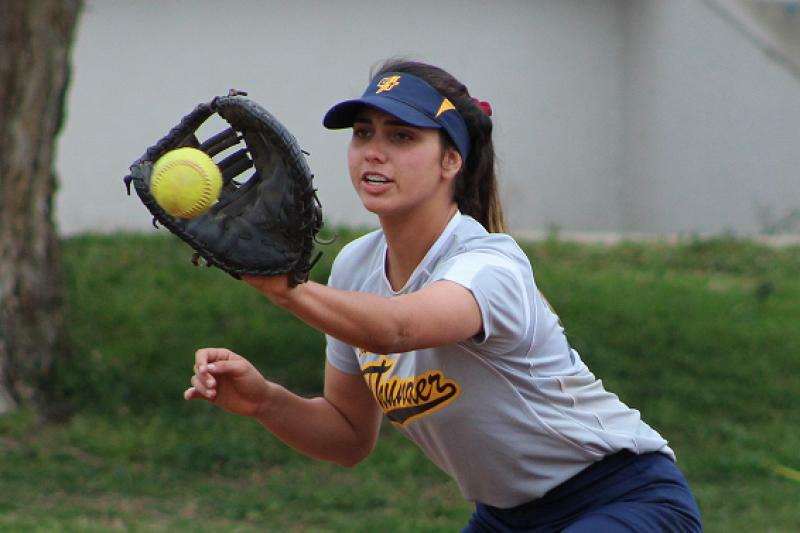 The season may be long over but Cal-Hi Sports just released its All-State softball teams and several locals were among those recognized. Etiwanda was the most recognized of the local teams as senior outfielder Vanessa Taukeiaho and senior first baseman Megan Stevens both were named to the first team while pitcher Briana Wheeler and outfielder Candace Haliburton, also both seniors, were third team honorees. Taukeiaho, earlier named the Daily Bulletin Player of the year, led the state in home runs with 20 while hitting .640 with 56 RBI. CIF champion Grand Terrace also had multiple players honored with pitcher Melanie Olmos, who like Taukeiaho has signed with Oklahoma, making first team and junior Eliyah Flores named to the second. Other first team selections included junior shortstop Taylon Snow of Chino hills and senior catcher Kelly Martinez of Yucaipa. Here is the link to the entire team selected for those interested. Senior outfielder Vanessa Taukeiaho of Etiwanda High School was one of just 10 players nationwide named to USA Today’s All-American first team. Taukeiaho, who has signed with Oklahoma, hit .640 (64 for-100) with 15 doubles, 2 triples, 20 home runs, 56 RBI and 54 runs scored. She boasted a slugging percentage of 1.430 and an on-base percentage of .692. Taukeiaho was only held off base in a game twice all year and she had at least one extra-base hit in 24 of 32 games. Division 1 – 1. Etiwanda; 2. Los Alamitos; 3. West Ranch; 4. Huntington Beach; 5. Mater Dei; 6. Orange Lutheran; 7. ML King; 8. Rosary; 9. Upland; 10. Norco. Division 2 – 1. Mission Viejo; 2. La Habra; 3. Oaks Christian; 4. Newbury Park; 5. Glendora; 6. Valley View; 7. Brea Olinda; 8. Camarillo; 9. Aliso Niguel; 10. Agoura. Division 3 – 1. Bishop Amat; 2. Gahr; 3. Grand Terrace; 4. Redondo Union; 5. Burbank Burroughs; 6. Laguna Hills; 7. Beckman; 8. Alemany; 9. St. Joseph; 10. Whittier. Division 4 – 1. Torrance; 2. Dos Pueblos; 3. North Torrance; 4. La Quinta; 5. Temescal Canyon; 6. Buena; 7. Knight; 8. Beverly Hills; 9. Linfield Christian; 10. El Segundo. Division 5 – 1. St. Bonaventure; 2. Louisville; 3. Garden Grove; 4. Lompoc Cabrillo. 5. San Dimas; 6. Silverado; 7. La Reina; 8. Templeton; 9. Edgewood; 10. Flintridge Sacred Heart. Division 6 – 1. Paraclete; 2 Savanna; 3. St. Anthony; 4. Downey Cavalry Chapel; 5. Shadow Hills; 6. Sierra Canyon; 7. Oxford Aca. ; 8. Webb; 9. Windward; 10. Chadwick. Division 7 – 1. Rolling Hills Prep; 2. ACE; 3. University Prep; 4. Faith Baptist; 5. Santa Clara; 6. Nuview Bridge; 7. Archer; 8. Burbank Providence; 9. Foothill Tech; 10. Public Safety Aca. The Etiwanda softball team hosted and won the first Dana Housley Memorial Tournament over the weekend with games held on the new field at Etiwanda as well as at Los Osos. The event was held in honor of the former student-athlete who passed away in May after collapsing at a weekend travel ball tournament. The field consisted of 12 teams but Eagles coach and athletic director Dave Masucci expects the field to double next season. Etiwanda went 5-0 in the event, defeating Summit in the semifinal and Norco in the championship game. Proceeds from the event will go toward a scholarship in the former players’ name an her family will pick the recipient of that scholarship. They were on hand for the event festivities at the tournament. There will also be a 12-team junior varsity event as part of the tournament that starts today. Etiwanda High School softball standout Candace Haliburton has decided she’ll attend Howard University in Washington D.C.
She hasn’t made an official visit yet. That will come in January. But she has visited the school, doing so her freshman year while on a family trip for the presidential inauguration. Haliburton, a speedy outfielder, was also considering Tennessee State and Hampton University. She plans to major in education. Haliburton helped the Eagles to a 24-9 record and second-place showing in the Baseline League behind Chino Hills last year as a junior. She hit .296 with an on-base percentage of .367. She had 15 RBI, 27 runs scored, 5 doubles, a triple and a home run. This will be her fourth year on the varsity squad. Howard was 14-29 overall last year and competes in the Mid-Eastern Athletic Conference. As usual, several players earned special recognition from CalHi Sports which released its All-Underclass team. Remember this is a particularly elite list since it consists of players from all divisions throughout the entire talent-laden state. 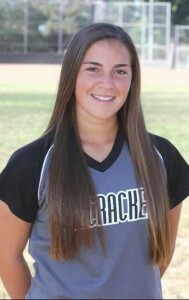 Etiwanda softball standout Dana Housley has passed away, Eagles coach Dave Masucci confirmed. 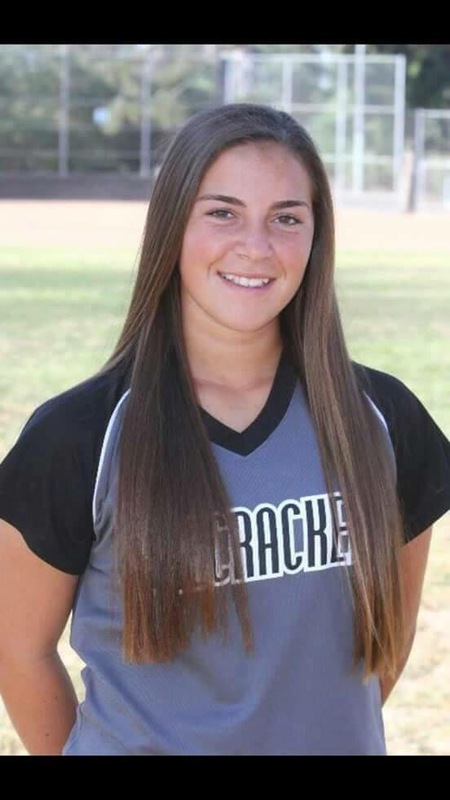 Housley, 15, was competing in a travel ball game with the California Thunder on Saturday in Fontana and had an aneurysm while at bat in the final inning. Medical personnel hurried to the scene and she was rushed to Kaiser Permanente where she had remained on life support ever since. Masucci said Housley was a promising young player, so much so that she had seen some time on the varsity squad despite being just a freshman. Much of her season was on the junior varsity but he had planned to bring her up for the playoff run. 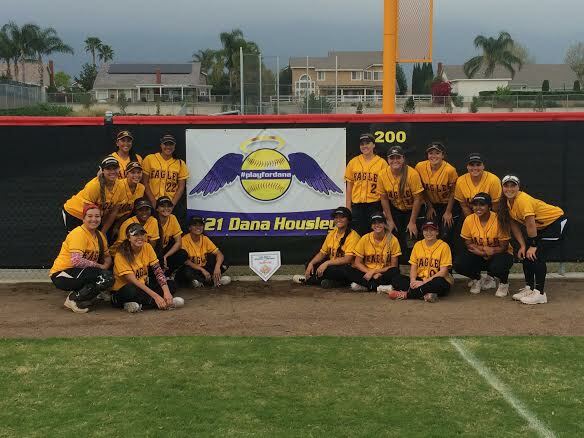 An outpouring of support for Housley, her family and the Etiwanda community has been evident. There were remembrances of her at games all over Southern California on Tuesday. A GoFundMe account to help the family has already generated more than $56,000. Here is a link to that if you want to help. The Etiwanda High School softball team took to the field against Murrieta Valley in a first round playoff game today. 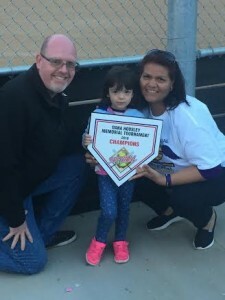 But all were still thinking about freshman first baseman Dana Housley who had a brain aneurysm while at bat late in a travel game on Saturday. Murrieta Valley prevailed 4-2 to move on to the quarterfinal. Etiwanda ends its season 24-9. It was a pretty somber team that filed into the dugout an hour before the game. There were few words spoken. It wasn’t until the third inning or so that the girls seemed to get focused on the game. They hit some balls hard which seemed to give then some confidence after the Nighthawks got a 2-run home run in the first. After the game players struggle more with their emotions, many breaking down in the post-game huddle. But they handled themselves well and felt the support of the extended softball community. VIDEO: Etiwanda coach Dave Masucci. VIDEO: Murrieta Valley coach Sean Parks.